You are here: Home / Bangkok Living / How to Get a Thai Passport in Bangkok: Location, Process, Pricing, Delivery – The Full Scoop! If you, your partner or “friend” needs to get a Thai passport in Bangkok, here's the scoop. My wife needed a renewal and I decided it was worth going along to see how the service matched up to the UK. (Apologies in advance for a couple of the poor-quality pictures — a mixture of poor light and a bad phone). We took a cab to Chaeng Wattana Government complex, which is the place to get Thai passports in Bangkok, although some people go to Central Bangna, apparently. (Not sure if that office is still open). The journey cost us 125 Baht, including the toll way payment, and took 15-20 minutes from the Huay Kwang area. In busy traffic allow and hour. We got there at around 11 AM, although I'd recommend getting there around 9 AM if you want to be in and out sharply. The entrance is on the main road of Chaeng Wattana . You can literally stop right outside. You can't miss it; it has a big water feature outside. See the picture below. When you to the front door, go in and straight up the escalator to the second floor. Bypass all the translation/visa touts that try to sell you their services. 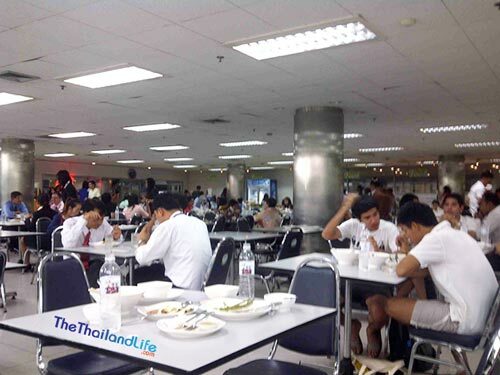 You're there for a Thai passport, so you won't need anything they have to sell; though you might want to visit the coffee shop or canteen when you have finished. Details of your current address. If you're getting a Thai passport for a child and you are a foreign national, your Thai partner must be present too. If you are a foreign national and need to get a passport for your Thai child, take your passport along to show too. Take photocopies of all documents with you. It's always handy to have, just in case they ask to keep a copy. Note: There is a copy shop there. If you need it, do a right at the top of the escalator (same floor). Walk straight and turn the corner. You should see a nice lady boasting a 1980s copy machine. So, hang a right at the top of the escalator and join the queue for the ticket window. Show your ID card, get a ticket and take a seat. Well, not you, but your Thai wife, girlfriend, friend, whatever. Your partner will join that queue, while you watch crap TV. To my horror, we were given number 982. The screen was showing 763! “Holy crap”, we'll be here all day. Let's get a coffee” (any excuse). There's two coffee shops on the ground floor and a big restaurant with reasonable food options. Very handy. We spent 30 minutes downstairs having food and drinks and went back to join the queue. To our surprise the screen was showing number 910 already! That's a warning for you. Don't wander off and miss your spot. It moves fast. You'll soon see why when you're inside. It's a super-efficient setup with multiple officers processing passports. I whipped out my laptop and starting tinkering on some work as the queue quickly filtered down. Within 20 minutes my wife had gone in to get her passport. She was out within 15 minutes! Step 1: For those getting an e-passport, a member of staff measures your height and takes your biometric data by picture and fingerprint. You'll have to have your right and left index fingers separately twice using a scanner too. For standard passports it's the usual spell your name, give in your passport photo, etc. Step 2: You then verify and sign to certify your information. The cost was 1,000 Baht, and 60 Baht to post to our home within 4-6 days. Note that you pay after at a separate counter on your way out. You'll be directed there once the process is complete. You can pick up your passport within 2 days if you don't mind going back there, but there are some specific rules to be aware of, particularly if you are having someone else pick it up on your behalf. If in Bangkok you can pick-up your passport 2 working days after the application date. 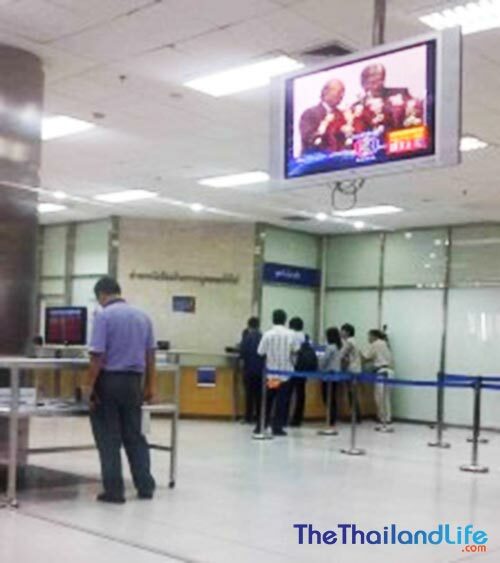 If you order an e-passport, the Ministry of Foreign Affairs has set up an automatic gate simulation at the Chaengwattana building so you can practice using it on an automated machine. Applicants outside of Bangkok are required to apply for postage service which will take 5 – 7 working days for passport to be mailed through EMS. ** To pick-up a passport, you must bring your notification of passport pick-up together with your I.D card. Canteen serves some quite okay food. Cheap and fairly cheerful. It really is an extremely efficient service. The entire process took one hour, tops. It's comfortable there, clean; there's food, coffee, TV, plenty of toilets and photocopying facilities, and even a nice mural to look at if you walk straight at the top of the escalator. Taxis stop regularly outside so you'll have no trouble getting home. I'm not sure what the nearest BTS/MRT station is but it's not close. Post Update: I recently got a Thai passport for my daughter at Chaeng Wattana government complex. It was an even faster experience than the last time I went for my wife. They've upgraded the passport centre with lots more booths, and as such the processing time is extremely fast. We were done in 30 minutes and the whole experience was a walk in the park. I am a Canadian married with Thai wife back year 2001 in Pak Chong, Nikon Ratchsima, our child was born in Bangkok.Now we officially divorced since 2012, and our kid is living with me since I have full custody. I want to help my kid to get Thai citizenship certificate years ago, but my ex-wife never help to do. So how could I help my kid fir the process, and where is the office I should apply for, and what kind documentI have to provide beside of the birth certificate? You will need your wife's help. The law states that to get a passport both mother and father need to be present, or if only one parent can attend the other needs to sign a declaration form, or one parent can attend to apply for the passport and then the other parent can pick it up. You could try contacting the Canadian Embassy in and explaining that you are not in touch with the mother and see what they advise. If it isn't possible then you may need the help of a lawyer. No you can't. Unless at least one parent is Thai, or one has permanent residence, a child born in Thailand has no claim to Thai citizenship. The Thai Birth Certificate arranged by the hospital will have put something on the birth certificate that reflects your daughter's status. Hi. I've heard recently there there is a same day service for passports. Is that true? If it is true, where does one go to take advantage of the expedited service. Thank you! I don't know if this is currently available, but I would assume you'd need to be seen before 9.30am to get the expedited service. This is the case with the freedom to marry document legalisation, so I assume it would be similar. How do I get a Thai passport for my 3 year old daughter as her mother has died. My daughter already has a UK passport. Yes we were married before our child was conceived. Hi, I'm getting a Thai passport for my baby son (husband is Thai). Is there an application form I can download and fill in prior or do you just fill it in when you get there? Everything is done when you go to the MFA. The instructions are in the article above. Go to Chaeng Wattana in Bangkok to get your passport. You should check to see if there is a passport office closer to where you live. Hi, I am 18 and wanting to make a Thai passport. I know all the rules of having to have both parents with me to sign the papers. However, the only parent that is in Thailand is my dad because my parents are divorced and my mother is in NZ. Is it possible for just one parent to sign the forms since parents are divorced or will both have to sign either way? Both mother and father will need to be present, or if only one parent can attend the other needs to sign a declaration form, or one parent can attend to apply for the passports and then the other parent can pick them up. My wife, whose passport expires in October 2018, tells me that there will be an opportunity to obtain Thai passports in Prachuapkhirikhan between 3 and 10 September 2018.Has anyone confirmation of this? I don't know about this. Usually you have to go to Bangkok. Thanks for your email on this, Clive. I didn't know this was happening but it does seem like a good opportunity for those in this province to get a passports done. Please comment back and let us know how your wife got on. I am told that this is true and was shown a photo of a sign in Prachuap with those dates and normal government office hours. The office IS open on Saturday and Sunday also.This took place in Hua Hin last year and there were signs on the roads all over town. This year it has moved to Prachuap town.We are going down on either Friday or Saturday. You should be able to get your passport from the Thai embassy in London. Contact them for the requirements, though most of the Thai embassies around the world appear to have the same rules: and that is they will give you your first Thai passport without having an ID card, but to be issued a second one, or renew that one, you will need to have a Thai ID card.Technically you are eligible for the military service, however, you need to be registered on a house document in Thailand to be called up, because that is how the military do the drafting - through the inspection of a Tabien Baan (house registration document). Also consider that most half-Thai males tend to get out of doing military service through a doctor's note or some other way. If you are living in the UK then you certainly will not get a call up, and I wouldn't worry about being drafted if you visit Thailand for a holiday, particularly if you are not registered on a house document there. In any event that you were to be drafted, I'm sure some palm greasing would ensure safe passage out of it. I would to know if I am able to obtain a Thai passport, my dad has recently died and he was full Thai my mum is full Australian an i will need to travel back and forth to deal with the family land my question is can I apply for a Thai passport ? And what will I need to do? Hi, great website! Lots of very useful info. You made me discover the transferwise service and i used it a lot and saved lots of money. Thank you.I need a Thai passport for my 16 months daughter. She doesn't have a Thai ID card. She is registered on the Tabien baan.The Thai mother is going to go to Korat to apply for a passport for our daughter, she has the correct Tabien baan. I am in Belgium so cannot go to Korat with them... I read in the comments i might need to give a certification letter, would a little letter and a scan of my passport be enough or do i need some official document?Any feedback greatly appreciated. Hi.....My son is now 15, had had 2 previous Thai passports. The last one expired July 2014.I am from UK living here, can I apply for him with a letter from his Thai mother ?I read at 15 she doesn't need to come ? hi Robert, looking at the requirements any person under 20 years old needs to have both parents there. Your son will also need to have his Thai ID card. Here are the requirements I'm looking at the website:Applicant is required to come in person. For applicants under 20 years old, both of parents are required to attend the Embassy with the applicant. Applicants who have travelled to UK on Tourist Visas cannot apply for an E- passport. In this case, please contact Royal Thai Embassy for the Certificate of Identity. Processing time is about 4 - 6 weeks. The fee is £25 in cash only. Thai nationals must bring his/her Thai Identity card to submit the passport application. The requirements are not different. 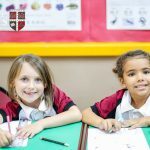 The children will need to go with their parents to get their passports, which will be under their legal name. Both mother and father will need to be present, or if only one parent can attend the other needs to sign a declaration form, or one parent can attend to apply for the passports and then the other parent can pick them up.If the grandmother is the sole legal guardian, then she can apply for the children to have passports. But if they are simply staying with her and she is not the legal guardian, then the parents will have to be involved in the process. Hi Clive, yes you can obtain a passport before the expiry of the current one. Just go along with the relevant paperwork as stipulated in the post, and you can pick up a passport after two days, or have it posted to you and it will arrive within 4 to 6 days. Hi, if we want to get a passport the day after we apply. Is it possible? As far as I know the quickest is 48 hours. You can return to the office and pick it up. The issue may be with consent from her former husband/partner. He would need to A) go with her to consent to the children having passports, or B) sign a consent form that she takes with her to apply. Or C) she applies, then he collects the passports and signs consent, or vice versa.It may be that your fiancee simply doesn't understand the rules around getting the passports, or has been mis-advised by her local district office. The district office is not where the passports are issued. She can do it in Bangkok if she lives there, or there may be one closer to her hometown. No, it's not open on a Saturday. I think it's open 8-4pm, but check the website. Im standing in line with my wife in Udon Thani immigration to renew her passport we got here early so we could get in and out quick BUT W.T.F this is a joke 500 tickets a day and its taken for ever to do 20 people at a time. Don't recommend Udon for a renewal. We did it in Bangkok for my daughter and it was busy but we were out within a couple of hours. It pays to get there as the doors open if you can. What number are you? Hope you get it done! Can you get this done in Udon Thani? I have a super old expired thai passport. I want to get my thai passport renewed. Do you think I can get it renewed while I'm in Bangkok? I think my relatives will be meeting me in Bangkok and my help but I have no idea.Just wondering if you have any information. Thanks! Yes, of course. Just follow the steps in the post above and bring the correct documentation. Hello, I know a Thai woman from net. She want visit me but she doesn't have a Thai passport. Can she apply for a Thai passport? Is there any responsibility from my side such as I need cover her flight ticket or travel expense? She can get a Thai passport from the MFA. 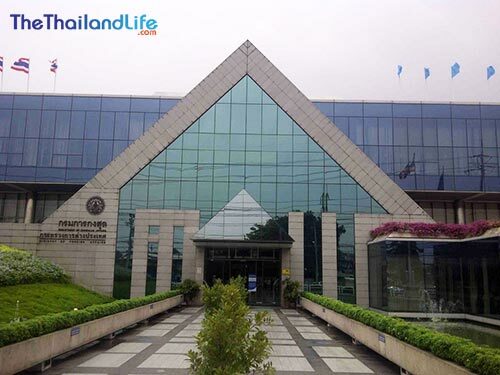 Here are the details: https://www.thethailandlife.com/thai-passport-bangkok . The requirements for her visit will depend on those of your home country. I arrived to Thailand on a US Passport. I received my Thailand passport in Bangkok.How to get an exit stamp for both my US and Thai passport ? You can't for both. You can only enter and exit on one passport. Oops. Forgot something. The first time she did this she entered on her US passport but exited on her Thai passport. US immigration didn't say anything on her return. I just traveled from UK to Bangkok Eva Air Direct Flight 25 June 2017 with my kids who both have UK and Thai passports. My sons Thai passport expired in March 2017 but I checked with Eva Air about prior to traveling and they said no problem and even noted it on my booking. However, we did get briefly questioned about it by immigration control but my son was allowed to enter on his expired Thai passport. It is my understanding that you are allowed to enter Thailand on an expired passport because you are Thai and this is by law. Just check with the airline you are using that they will allow you to fly. I know its not a problem with Eva or Thai Airways. Any questions just ask. Hi Tracy, that is correct: A Thai can travel to and enter Thailand with an expired passport. I'd get a new one while there though. 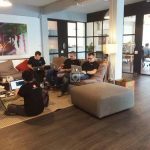 Where can I find the information for more Passport offices in Thailand? Does anyone know if Udon Thani also has one? Can I bring a copy of Tambien Baan ? Or have to bring the house registration book with me ? Hello again, another question... can a Thai national travel direct to Thailand on an expired Thai passport? Also, if not, does a Thai national need to have 6 months left on Thai passport to travel to Thailand? First question: Nobody can travel on an expired passport. If the airline doesn't stop them, the arrival country's immigration will. Then the airline faces a hefty fine for carrying an ineligible traveler. Second question: Earlier this week my wife flew to Thailand with less than 6 months' validity on her passport. No questions were asked at the embarkation airport and her trip went without a hitch. Thank you. I have heard differing advice on the expired passport particularly when flying with Thai airways direct. Appreciate your time. I hold both Thai and British nationalities. My Thai passport expired more than a year ago. So had to use my British one to travle to BKK this year. One can't travel on an expired passport, no exemption. As for coming into Thailand as a Thai national, there's no need to have a 6 month validity on the Thai passport because it can be renewed once the said passport holder is in Thailand. Hi, great article, very helpful. We are travelling to Thailand in July. I would like to renew my half sister's passport whilst there (she lives with me in the UK after our father died last year). We are in Bangkok for 4 nights, but over a weekend, then on to sister's home town for 18 nights. If we apply for passport in those first couple of days will the passport be done in time and would they send to a c/o address eg a solicitor's office? Hi Carlie, yes, my daughter's arrived at our apartment within 3-4 days if I recall correctly. They will post it to an address of your choice. Thanks very much. Thailand is far more efficient... who knew? A Thai can always enter Thailand with an expired Thai passport and airlines are aware of this rule as it is listed on the IATA database that they use. Current MFA info says they'll take my wife's photo so no need to bring photos. Also applicants need to bring only their ID card (i.e. no tabien baan). Are these both correct statements? Photo is correct as they have a flashy new processing area and new style passports. Not sure on the Tabien Baan. Maybe they don't need this, but historically they have said they need proof of address. That said, you can't get an ID card without a fixed abode so maybe this is no longer required. Maybe take it just in case. My wife went for a new passport today and I tagged along for the ride. Arrival time there was 12:30. We went up the escalator to the second floor and turned left. I sat down to wait. My wife got a number and entered the passport room. She emerged 20 minutes later -- done. Three fingerprint scans were taken: one of the four fingers on the left hand, one of the four fingers on the right hand, and one of the two thumbs side by side. The only docs needed were her Thai ID card and old passport. We spent more time drinking coffee, eating in the canteen, and buying khanom to take home than we did with the formalities. Altogether it was a smooth operation, as good as you could hope for from a government office in any country. Nice one. It is pretty impressive isn't it. Who said the Thais aren't capable of efficiency?! That was last Wednesday when my wife applied for her new passport. This morning the passport arrived at our home -- on Sunday! We're impressed by the smoothness and speed of this service. Yes, you need their birth certificates. Hi. My daughter was born in Australia. Her dad (my husband) is Thai. She already has an Australian passport. I want to get her a Thai passport. Can we do this in Bangkok at Chaeng Wattana Govt Complex? Thanks. Yes, Mandy, that is where you need to get the passport. I got one for my daughter there too. Yes they can. You just need to apply at the passport centre. My Thai wife need to renew her E passport in Bangkok. How many days does the renewal takes . The last I heard was that you can pick-up your passport within 2 working days after the application date. That's impossible. It takes many years to become eligible for Thai citizenship, and lots of red tape to jump through. I applied for Thai citizenship 16 month ago and am still waiting for the government interview. It took three years of tax documentation and marriage to a Thai citizen before I qualified to apply. Getting Thai citizenship is a difficult and lengthy process. hi sir my gf is thai and we have a child, but we are not married yet., we are planning of getting a passport for the child do we need a marriage cert.? what are the requirements sir? and how many days is the process? thank you! All requirements are listed in the post under "What Documents You Need to Get a Thai Passport". You don't need a marriage certificate but you do both need to be present with your ID (passport and ID card) and the child's birth certificate. thank you sir for the info., can it be done in 1 day sir? Yes. But you have to go back to pick it up. Or you can pay for home delivery. sir i already got my baby a thai passport, we finished the application around 9am.. we came back 2:30pm and were done! wow! 3000baht! nice. and the food in the food court was cheap and good! thanks to this blog! Klong Toey Mrt station has an office now, mrs got one a few weeks ago, central bang na closed. Do you know if there's a Thai passport office in or near Hua Hin? Cha Am or Pranburi would be O.K but we'll only go to Bangkok if there's no other choice, thanks. Isn't there one at Blueport (Hua Hin). It was supposed to open in December 2016. This only applies to Thai nationals? Yes, a Thai passport. Foreign nationals must make an appointment with their respective embassies. Was just trying at google maps where exactly to go. But the pic you are showing seems to be the Ministry of Foreign Affairs near Ratchathewi. Also, their website stating that address to apply for a Thai Passport.Is there another one at Chaeng Wattana? This is where you get a Thai passport at Chaeng Wattana. 100%! The cost is 1,000 Baht. Just follow the steps in the post. A Thai national can have one from birth. My daughter was issued one at 3 months. Hi I need to renew my thai passport but I'm unable to wait 4-6 days does any one know if I can pay extra and get the passport done in like 1-2 days ? They used to offer a same day service. Please call them on Tel: 0-2981-7171 or 0-2981-7276-7 to check if this is still possible. It's the entrance in the picture; that's the one on the main road as you pull up alongside the complex (not the one you have to drive down the side road and round the back for.) Go in, up the escalator and turn left. Thanks for this but I drive there so I will find a side entrance. Have Thai friend. She is a Thai National. The father (ex husband) of her children is French. They all live in Thailand. She wants to get Thai passports for her children. They currently have French passports only. Were they born in Thailand? If so, simply follow the process as above and take along their birth certificates. She may also need copies of the father's passport. I did have to show mine when me and my wife got a Thai passport for my daughter. This might be abit complicated but I am half Thai, half foreign Teen and my mother (Thai) passed away a 2 years ago. Last week my Thai passport expired, and Im going on a family Vacation abroad in 11 days, will we have enough time? Does my Dad need to bring her death certificate, and certificate of guardianship over me or can I just bring my Thai ID and let the process flow? I assume you don't have a passport for your other nationality? If you do, you can travel on that. If not, go with your Dad to Chaeng Wattana in Bangkok with your ID card, old passport (if you have it), passport photos (x2), mother's death certificate, certificate of guardianship, Dad's passport too!. You can request that they send it to your home within 3 days. I think it can be done in one day if you arrive before 9am (opens at 7, I think). Thank you sooo sooo much! we need more people like you in this world.I been living in thailand for quiet awhile now and im carrying both thai and US citizen. I've been wandering wanting to get a thai passport. so I had to Google up on how to get a thai passport (because i wasn't positive how to) and found the first link to mfa.go.th. there was a clear brief instructions what to bring and ect, however, there were NO! i repeat THERE WERE NOO! address to the place! . So you're gonna tell me a clear instructions on what documents to bring, but you're not going to tell me how to get there?! Wtf are they thinking! . So To find these address i had to do some digg around their website, however there was one very tiny fine print wayyyyyyyyy at the bottom and because i couldn't be positive if it was the place, it could of been a subdivision office for i know!. Long story short im glad i found your website. Hi David, glad you found me! Unfortunately the Thai information websites are in desperate need of being brought into the 21st century :). They are often difficult to navigate, which makes it hard to find the correct information. Anyway, all the best with getting your passport. On the list of requirements you wrote Tabien Baan, but if you have a Thai ID card you don't need it. I thought you lived near thong lo or something why would you go all the way to chang wattana, why not just go to Thanya Park?? The place in Bangna closed over a year ago. Hi Roy, I have various posts about living in Thailand that cover visa-related stuff, but not a post that outlines all the ways in which it is possible to live here. It's a great idea, and one I will put on my list. The visa rules do change from year to year though, so it would need updating. Thanks for the suggestion. Hello, how are you? I am staying on Sukumvit rd. ; I have no idea how to get to Thanya Park. I don't have the original ID with me; however I have the copy ID and the original expired Thai passport (January 26, 2016). Do they except the copy ID? My girlfriend has a Thai birth certificate and nothing else to identify her. Is this enough to get a passport. Is there a 'service' that can help her? She has no Thai id card or proof of address. Willing to pay a fee to make it happen. Hi John, your Thai GF must be registered on a house book (tabien baan) to get an ID card, which she needs to get the passport. Does she have a family home in the province she was born? If so, she can register herself on that house book and then get an ID card. If not, is there a family member who can put her on their house book? ..... The BTS Skytrain station to get off at is Mo Chit .... If you take a taxi it's about 15-20 min ride cost around 100 baht ... Or catch the number 52 bus cost 20 Baht for two people and mo fun .....The bus stop is right across the street to return to Mo Chit BTS station. Nice one. I've never taken the train there so that's useful info. Hello, thank you for sharing such great information. I have a quick question. My mother is originally from Thailand but has been an American citizen and lived in the U.S. for several years now. I'm considering obtaining a Thai passport. What do you think would be the easiest way to go about this? (I'm currently living in Japan) Any help is appreciated. Thank you! I'd contact the Thai Embassy in Japan. I think they can sort it for you but it will cost a lot more than doing it in Bangkok. You will need copies of your mother's birth certificate and ID card, and your birth certificate too. They will advise on other documentation. You can get it the same day if you arrive early in the morning (before 12 I think, but go earlier than that). You can also pay to have it posted to you within 3 days. Hi, I'd like to know processing fee and requirement for a Thai passport for my friend's son, Father is Dutch and mother is Thai.Thank you. The cost of a passport is around 1,000 Baht. And easily obtained using the details above. Thank you, however, he was informed that he needs to pay 25,000/- baht since he is not in Thailand anymore. Really? Is that through an agent or a service the government office offers? I have been trying to search online for the documentation required for applying for a thai passport (I am a foreigner).however i cannot seem to find the official website with the official forms. why is it so hard? would anyone have a link?please advise? Hi, my husband is thai and we stay in thailand. I want to apply thai passport for convenience. Do i need to speak thai? How much it costs? Thanks a lot! Hi Kat, I'm quite sure your husband will have to be there in person because they will take his biometric data. If not, at the very minimum you will need written evidence of why he can't attend (medical certificate or similar), a form that requires him to fill out stating his consent, and his Thai ID card. The passport costs 1,000 Baht. 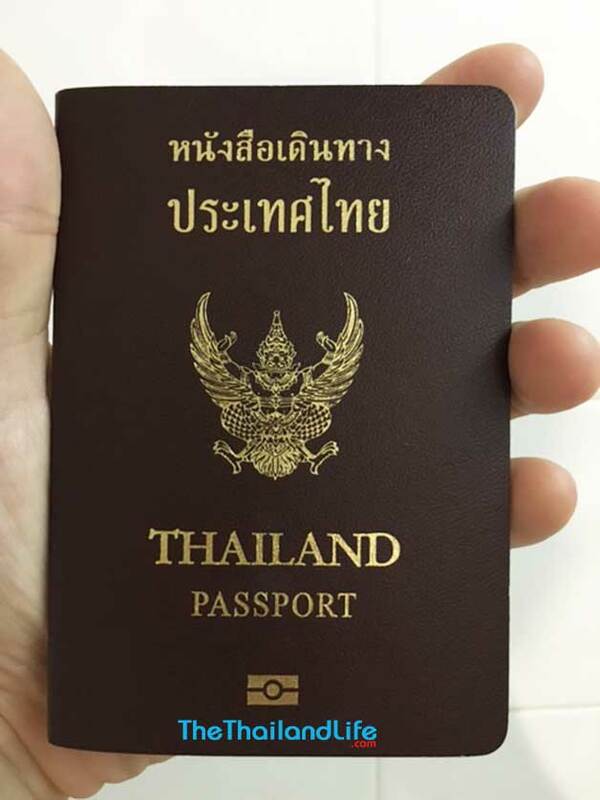 Hi, Do you know if you can pick up passport from bangkok office instead of having it posted? And how soon it would be ready? Really struggling to find info online and its quite urgent. Thanks so much! Hi Shae, yes you can pick it up instead; after 2-3 days I believe. Does anyone know of an agent service that will submit the documents for passport renewal in Bangkok. My friend cannot take an entire day off to process her passport renewal application. For a Thai passport? If so, a Thai passport can be applied for at Chang Wattana (Laksi) and then posted to your house for a small fee. The application process takes under an hour if you get there early. I went to the imagration office for my ED-Visa. and I got a bus from Victory Monument to the front door for free and back. the red bus runs 6-7:30 am from Victory monument and runs back to Victory Monument every 30 minutes. oh, it's the same place, right? Thanks for the bus info. That's useful.